The Washington Redskins placed strong safety Duke Ihenacho on season-ending injured reserve Tuesday. Ihenacho dislocated his wrist in Sunday’s game against the Miami Dolphins. It’s not the first stint on IR during his time with the Redskins as Ihenacho spent the entire season there a year ago with a fractured heel bone. Thanks everyone for your support and prayers. I see it all. Ihenacho beat out free-agent Jeron Johnson for the starting strong safety position in training camp. Trenton Robinson will take over the position for the Redskins. The Redskins signed CB Will Blackmon to take Ihenacho’s roster spot. Blackmon, 30, has spent time with four different franchises and started 14 games since entering the NFL as a fourth-round draft pick by Green Bay in 2006. He also played 11 games with the Giants in 2010-11, and 23 with the Jaguars in 2013-14. Blackmon has experience returning kicks having returned 81 kickoffs for a 20.7-yard average and 72 punts for an 8.8-yard average. The Redskins are lacking depth with Justin Rogers suffering from plantar fasciitis, and Chris Culliver on the suspended list this week. 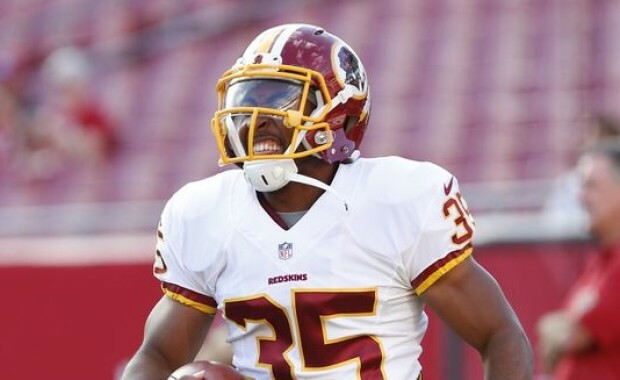 The Redskins released FB Ray Agnew and signed CB Dashaun Phillips & LB Houston Bates to the practice squad.